Credit card information is highly sensitive data and should be protected from unauthorized access. Due to this reason, it is understandable that neither payment gateway plugin nor WooCommerce is going to expose this information to a 3rd party integrator, like us, to read and process, even for a very good reason – to perform the fraud validation. This is why you might have noticed an N/A value for all credit card related fields in our fraud validation results. 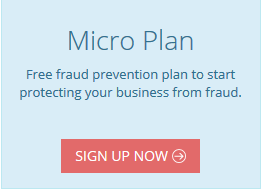 Note: The flp_cc.php file is located in fraudlabs-pro-for-woocommerce plugin folder. The above logic will convert the plain credit card number into an irreversible hashed string for the fraud validation. Neither us nor the 3rd party will be able to read the plain credit card number from the hashed string. Below are the steps to enable the fraud validation for the payment gateway. Note: The following guide is based on WooCommerce Stripe Payment Gateway version 4.0.7 with WordPress version 4.8.1. Download the WooCommerce Stripe Payment Gateway at https://wordpress.org/plugins/woocommerce-gateway-stripe. 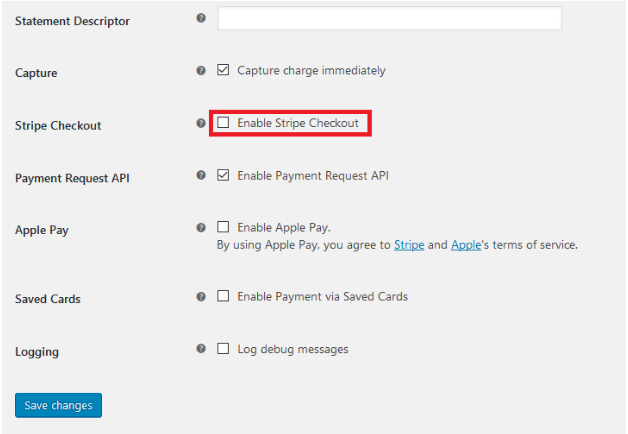 Go to the Settings page and disable the “Stripe Checkout” option. Note: This guide is not workable for this option so it must be disabled. Edit the stripe.js file which is located in the wordpress/wp-content/plugins/woocommerce-gateway-stripe/assets/js/ folder. Copy the code provided above and paste it before the closing bracket “}” of init: function(). Minify the stripe.js file by using the tool at https://jscompress.com/. Download the Output file, rename it to stripe.min.js and overwrite the original stripe.min.js in the wordpress/wp-content/plugins/woocommerce-gateway-stripe/assets/js/ folder. Note: stripe.min.sample.js in http://www.fraudlabspro.com/downloads/fraudlabspro_wc_stripe.zip is just a template for stripe.min.js. Overwriting stripe.min.js with stripe.min.sample.js is not encouraged. THE MODIFICATION IS PROVIDED “AS IS”, WITHOUT WARRANTY OF ANY KIND, EXPRESS OR IMPLIED, INCLUDING BUT NOT LIMITED TO THE WARRANTIES OF MERCHANTABILITY, FITNESS FOR A PARTICULAR PURPOSE AND NONINFRINGEMENT. IN NO EVENT SHALL THE FRAUDLABS PRO BE LIABLE FOR ANY CLAIM, DAMAGES OR OTHER LIABILITY, WHETHER IN AN ACTION OF CONTRACT, TORT OR OTHERWISE, ARISING FROM, OUT OF OR IN CONNECTION WITH THE MODIFICATION OR THE USE OR OTHER DEALINGS IN THE SOFTWARE.